I was in the car with my 8 year old son this morning on the way to drop him to school. In the short 10 minute ride, his ADHD mind took me from perfect hairstyles for his waves and curls to new recipes he’d like to try when he opens his own “kitchen” next summer. He also talked about different ways he could get his friends interested in his latest toy subject. He had a plan for so many things. But his plans were happening simultaneously. It was multitasking on a multi-core microprocessor level. He went so quickly I thought he would heat up and shut down, like my old Mac. I kept waiting for the abrupt blank screen. He hears all of the signals of information at once, and from them, he brainstorms nonstop how to make the world a better place. So, today, when I had a more leisurely drive, I listened better. I needed a full shot of espresso to keep up with him, but it fascinated me. And I suddenly didn’t want to stop him. I didn’t want to tune to just one channel of that amazing mind. I was greedy. I wanted all of his thoughts at once. I wanted him all ADHD-ed out, the pure, original him. For a few minutes, I think I was actually jealous—or at least deeply admiring. 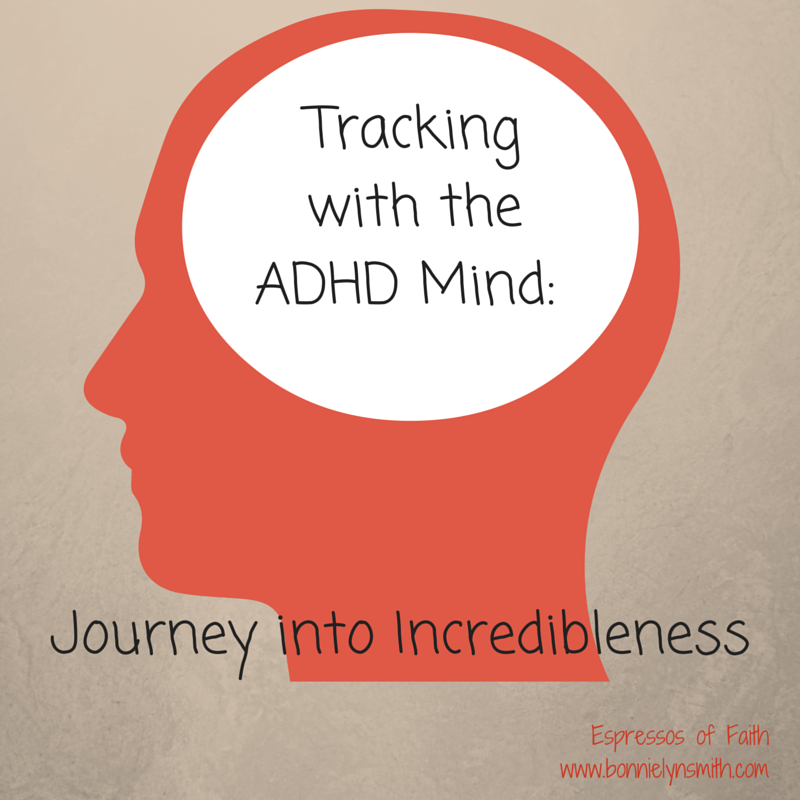 I realize ADHD comes with its struggles and companion diagnoses. I know OCD, anxiety, depression, and learning disabilities often hitch a ride with these phenomenal minds. We have our own struggles with the combo meal served up frequently with ADHD in our house, and they are not easy. If I’m honest, of course, I don’t love those obsessive, wigged-out moments. Not at all. And I know the level of creativity and intellect can vary with each individual. I also fully understand why teaching these jet engines can have its challenges, and I support the medication and strategies offered by specialists in the field, when used appropriately. But I want to listen more when he rattles on without pause. I want to be his stenographer. I am curious which ones, out of the multiple scenarios, solutions, and thought processes going on in his head—if we write them down—stand a chance of being acted upon someday. Some see it as “mind clutter.” I see it as him hearing the many ideas God gives him at full speed ahead. And I see him racing after them, with great joy at hearing all of that at once. But the joy stops when he sits down to focus on math problems at a desk for solid amounts of time, or when there is a school assembly he has to be still for. At those moments, he needs to hear one frequency only. And that is very difficult. But there is a very happy, Tigger-y* bounce when he can be fully himself and run wild after the wind, with God whispering gusts of incredibleness straight through his mind. And his mind can keep up with it all, unlike mine, which would need a butterfly net to hold on to all of those thoughts at once. And in the moments when we can, I choose joy for him. His jumble of thoughts propels him forward; it excites him about life and everything there is to discover and create. To take that from him all of the time is to erase shades of Little Man—and I love him bursting forth in full color. 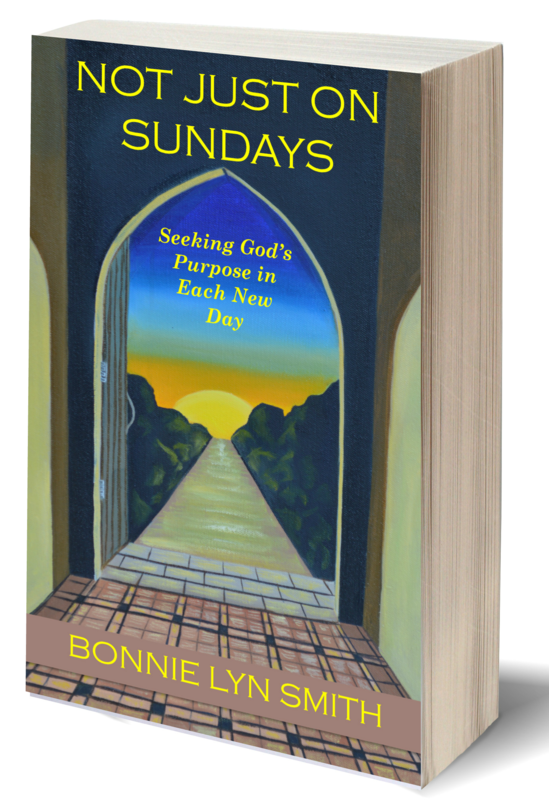 Our personal journey through ADHD, OCD, depression, and anxiety can be read about more in Not Just on Sundays: Seeking God’s Purpose in Each New Day. **This blog has been shared at Pick Your Pin Tuesday, A Little R&R Wednesdays, RaRa Link-Up, Women With Intention Wednesdays, Me, Coffee & Jesus, and Coffee & Conversation. I totally agree, I call my brain a computer all the time. I say it tongue and cheek, but I half mean it. It’s the best way to describe it. That or on the tough days a pinball machine. Each Idea is a metal ball bouncing around in your head and you have a bunch of them all at once. It’s nice that you can see the cool side of it and have patience. Helping him to embrace who he is, is key too. Keep Dreaming Little Man. When I worked in a restaurant I used my ADHD to my advantage, I could hear everything, I would know what the person in front of me wanted also those on the right, left and across the room, I could file this away and do it all in one fell swoop, people were amazed. But at the end of each night I was exhausted, hearing all that all the time, plus the telephone and the television, it is exhausting. Good for him that he has a mom like you. My son also has some days that are worse with ADHD than others, he is 22 now, and somedays my head it too full. I will try harder to listen. To see God’s hand on his mind. Thank you. Nikki….thank you so much for stopping by “Espressos of Faith” and offering such encouraging comments. It’s actually so very good to hear from someone who has faced those challenges and also parented someone through them. I love your restaurant story…ADHD superpowers for sure! I’m in awe! Thank you so much for this Bonnie Lyn. What encouragement this is. I love how you show the hidden blessing so well. Much love to you. Cheering you from the #RaRalinkup on PurposefulFaith. Thanks, Kelly…Much love to you as well! This blogging community is such refreshment for the soul! Love visiting your site as well!